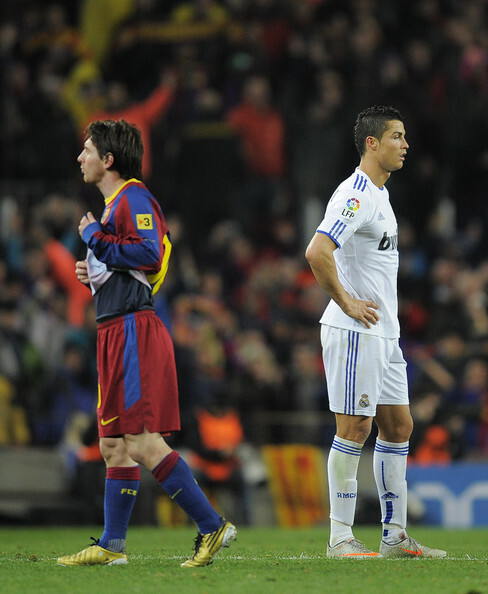 ﻿ Messi: "I'm not trying to be better than Cristiano Ronaldo"
19.10.2011 » Messi: "I'm not trying to be better than Cristiano Ronaldo"
Many journalists keep drawing comparisons between Lionel Messi and Cristiano Ronaldo, but the Argentinian has been saying repeatedly that there isn't any rivalry with CR7. Messi outlined that he never looks at what Cristiano Ronaldo does, so there's no point in making comparisons, because he's not trying to become better than him. Barcelona's Lionel Messi keeps breaking and pursuing new records in the Blaugrana, the same way Cristiano Ronaldo does in Real Madrid. However, the Argentinian says there isn't any rivalry or duel with the Portuguese player, because what motivates him is to help Barcelona winning trophies. Messi stated that he doesn't look at what Cristiano Ronaldo does in order to make comparisons, or to attempt becoming better than him. Many have said that Cristiano Ronaldo and Lionel Messi have two different playing styles and for that reason, there's no point in trying to compare them. Despite that, here's our view on the two players: Lionel Messi is 1.69m (5 feet, 7 inches), left-footed, has a tremendous close ball control, dribbles with extreme ease and shows an unusual scoring ability. In the other hand, Cristiano Ronaldo is 1.86m (6 feet, 1 inch), strikes with both feets, has a great heading game, runs as fast as a sprinter, owns a reportoire of tricks that allow him to get past any defender with style, has his own trademark when taking free-kicks and certainly has a nose for goal like very few do. 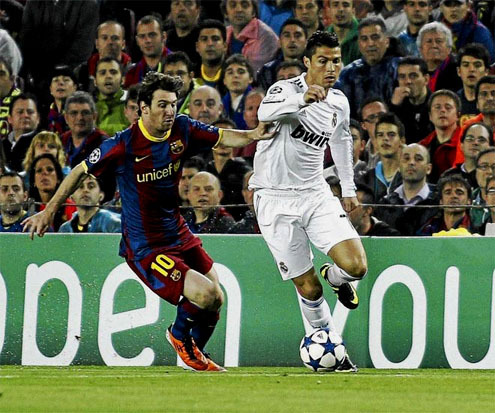 The debate will keep on and even though both Ronaldo and Messi disapprove it, the two can be sure that their names will remain in several record books for a long time, as they keep making History. Lionel Messi made a preview on the game between Viktoria Plzen and Barcelona scheduled this Wednesday and one of the journalists asked if the Argentinian had anything to say regarding Cristiano Ronaldo statements on the "Messi" shouting and provocations that the Portuguese has been victim of, when playing far from the Santiago Bernabéu (Ronaldo said a few weeks ago that those provocations keep happening because of a few "morons" initiative). Messi: "I don't have to comment on that. That's his oppinion. I'm happy to be welcomed everywhere I go, specially when we travel abroad, because we receive the recognition from fans of other teams. But I understand that it's normal for players to be received in a different way when we're not playing at home. ", replied the Argentinian moments before being challenged to answer a few more questions regarding Cristiano Ronaldo. 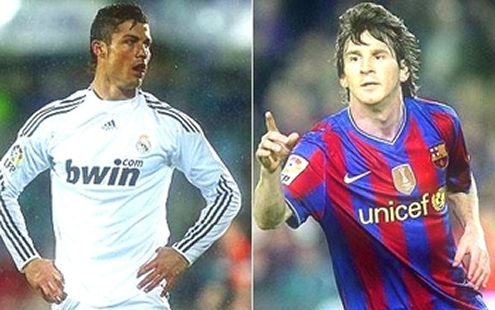 Lionel Messi: "Those comparisons made between me and Cristiano Ronaldo only happen because the media need them. 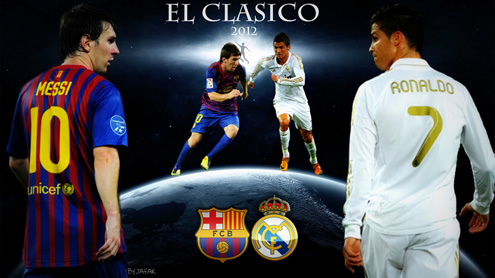 From my side, I have no particular rivalry or duel with Cristiano Ronaldo. I only want to help my team, by doing things well. I never looked at what Cristiano Ronaldo does, in order to make any sort of comparisons or to attempt becoming better than him. ", noted the Argentinian. One of the hot-topics in Spain concerns a few misjudged calls inside the penalty area in some of the Barcelona's last games, but Messi preferred to exonerate the referres: "Those are very fast plays and they are hard to follow closely. We should not focus too much on that. The less talking and pressure there is on them, the better they will do. They don't have an easy job, so I prefer not to talk more about that topic." Before finishing this UEFA Champions League press conference, the journalists thirst for headlines made them ask Messi to comment about Pelé statements. Earlier this week, Pelé said he was going to send Lionel Messi a video tape, with some of his best moments compiled in a film-documentary. This happened because Messi pointed Maradona as being the best football player ever a few weeks ago, and justified not having chosen Pelé by saying he never watched him playing. Messi: "Let Pelé send me those videos, so I can see what he did back then. I'm sure he made some great things." After beating Lyon for the UEFA Champions League, Real Madrid will now play against Malaga for La Liga. You may watch Malaga vs Real Madrid stream next Saturday, in our Football Live Streams section. The countdown clock timer, displaying the time left for the next Ronaldo game, is shown on the top right corner of all pages. Besides this Real Madrid game, you can also watch Manchester United vs Manchester City free this Sunday, but today you may still follow Barcelona vs Viktoria Plzen streaming. All streamings are provided from our "Live" section.